DOWNINGTOWN, Pa. — A school district in Pennsylvania has agreed to an out-of-court settlement to ensure that free speech is protected on the public sidewalks surrounding its schools. 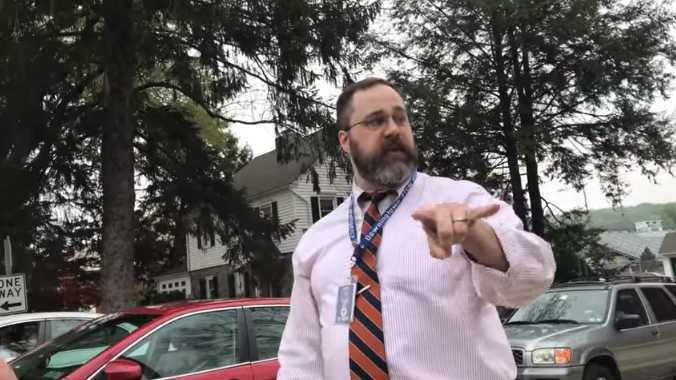 The district had been asked to issue an educational memo to employees of Downingtown STEM Academy after the vice president of the school yelled and cursed at two teenage abortion abolitionists who were holding signs on the sidewalk. The Downingtown Area School District also submitted a letter to the teens to acknowledge that Vice Principal Zach Ruff had behaved improperly. Click here to read the full settlement and accompanying documents, dated July 14. As previously reported, the initial incident occurred on April 21 as homeschooler Conner Haines, 16, and his sister Lauren, 19, held signs outside the school that bore messages both about preborn babies and salvation in Christ. However, they were soon approached by Ruff, who took issue with the subject matter and became irate. He told the Haines’ to leave, but they refused, citing that they were simply engaging in free speech on a public sidewalk. “These are the people who are being murdered. Sir, these are image bearers of God,” Connor Haines told the dean of academics and student life. Ruff was put on leave from Downingtown STEM Academy after the incident went public, and soon resigned, acknowledging that his behavior was inappropriate. The religious liberties organization Alliance Defending Freedom (ADF), which represented the Haines and requested the out-of-court settlement, says that it is pleased with the result. The settlement does not involve any monetary damages or legal costs, only the training of staff on free speech and a written apology to the teens.